Truly an “ah-hah” moment for Konstant as it leads the herd and stays competitive during the times of unprecedented disruption! PALO ALTO, CALIFORNIA, UNITED STATES, October 25, 2018 /EINPresswire.com/ -- It’s an illusion to keep doing well, to be in a good position and keep building such great apps. As it has been growing older, Konstant is moving up the ranking, although it is relative, hitting the mule between the eyes with a two by four to get its attention seems attractive. 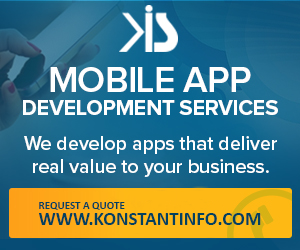 BusinessofApps announced Konstant Infosolutions – A leading app and web development company as #1 mobile app development company in India from amongst 6 macro regions – USA, UK, Europe, India, South-East Asia, and Latin America. This has positioned the furthest on the completeness of vision axis. These companies have appointed dedicated leadership and resources to support the rapid growth and have plenty to offer on the app development front, both for start-ups as well as for enterprises. 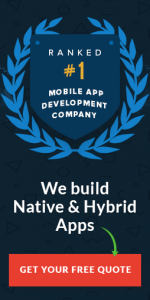 These companies have proven themselves as best business partners providing niche solutions for all kinds of mobile app development needs. • Owner Company Size – What strength do they have? • Average Hourly Rate - What do they charge on an hourly or fixed project basis? This can even include a range of rates you might expect to pay for the development of your app and other such services. The Business of Apps is a company operated by Soko Media that help industries connect through B2B media services. It provides all the app news and insights, data and statistics about mobile app world for industry professionals. It's a go-to global resource for all the people and businesses who create new mobile and social apps. 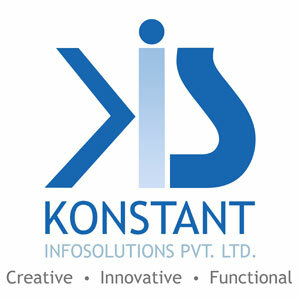 Konstant Infosolutions is a leading mobile and web development agency who have been developing world-class applications for various industry niches like Real Estate and property, On-demand solutions for food, taxi, pets and various other services, social networking solutions (chat messengers), Food delivery and ordering, Restaurant solutions, Banking, finance, business, insurance, education, human resources, e-commerce, retail and B2B, travel and hospitality, media and entertainment, healthcare and fitness, transport and automotive, gaming, leisure, directory, organization, event and ticketing etc. Working towards greater customer satisfaction, they have been adopting techniques to exceed the expectations and surprise the clients from time-to-time. Having received awards and honors couple of times, they are considered as favorite development partner by many businesses.